Now you know you are ready to take your life to a whole new level with the purchase or lease of a majestic. Arabian horse and you have found a horse trainer/riding instructor to assist you in finding a horse to best match your ability, then it is time to start making inquiries about sales and lease opportunities. Click HERE to view our Business Directory to see if the local sales opportunities are a fit for you. 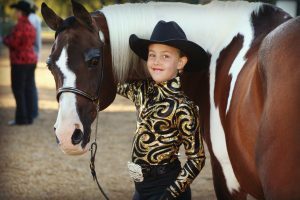 Once you've found the horse of your dreams it is always a good idea to have a vet check done to evaluate the horse's overall health and soundness. When the veterinarian passes your potential horse through a series of tests called a “vet check”, it's time to make arrangements to where your horse will live, along with finding a reputable equine vet and farrier to care for your new family member’s long term needs. If you are stabled at a horse boarding facility, much of your horse’s care will fall to you. At a boarding facility you can expect your horse to be watered and fed at least twice everyday and your horse’s stall and/or paddock to be cleaned on a daily basis. Each boarding facility offers different boarding and care options, be sure to fully understand all your options before committing to a facility. If you’re stabled at a training facility your horse will be in full-time or part-time training, depending what the trainer or facility offers it’s clients. 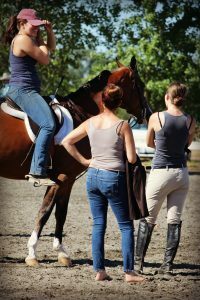 A trainer’s goal is to teach you and your horse to work together cohesively in a more focused environment than usually available at a boarding facility. Focused training often results in a higher level of skill over a shorter period of time. This advanced skill level is often best demonstrated in the show ring. When researching a trainer be sure to ask how much care your trainer gives the horses in their care and what is your role in caring for your horse. Most often, training facilities provide daily clean lodgings for your horse, along with food and water, grain and medication (as needed), and an exercise-training routine for horse and rider - not to mention horse show and competition opportunities. What is your purchase budget? Where will you keep your horse? Who will be your equine veterinarian? Who will be your farrier? Who will you be training you and your horse? Who will be your riding instructor? Consulting an expert is always a good idea, and a second professional opinion never hurts. 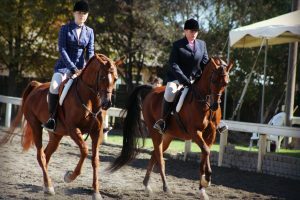 While this guide strives to give the best information possible, it is in no way a complete guide to horse ownership and care. Please, educate yourself as much as possible to maximize your understanding and have great experience with your horse.